Purchase a Regular Admission Ticket for $28.99 to Gulf Island Waterpark and get the rest of the weekend free. Basically, it is a weekend pass for the price of a 1 day ticket. 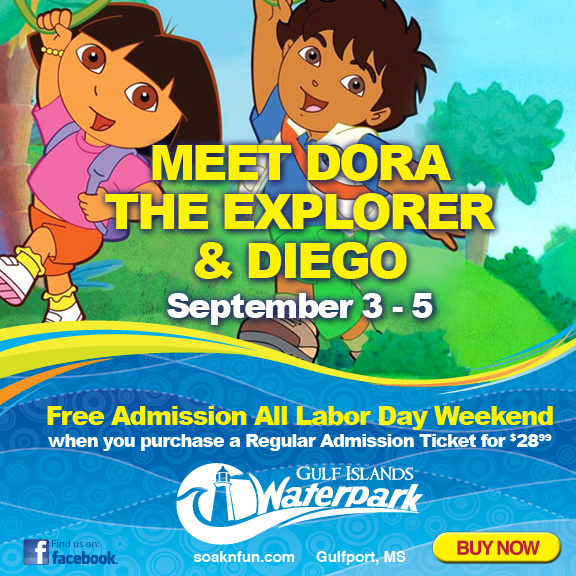 Plus, Dora the Explorer and Diego will have a Meet & Greet. Bring your own camera! Check out their WEBSITE for more information on it!